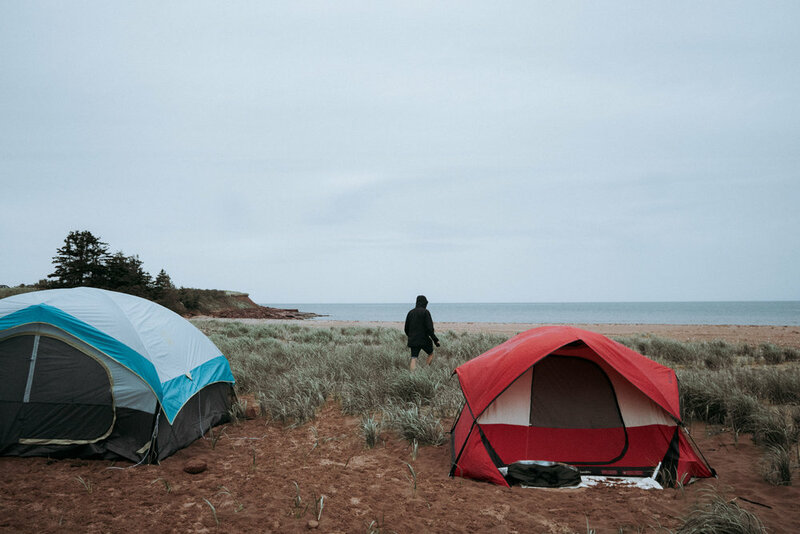 Last Friday, we had the incredible opportunity to go beach camping with a big crew of our friends in French River on the north shore of Prince Edward Island. We had a ton of dogs, drinks, bbq and drenched clothing. The rain we experienced never deterred anyones moods or anything. It rained so hard the whole time that it was actually quite refreshing after you get a couple drinks into you alongside some herbal medicating. Packing a 6-person tent in torrential downpour is not something I would recommend, but it left some great memories none the less.